Professor Jonathan W Essex is Professor of Computational Systems Chemistry within Chemistry at the University of Southampton. Jonathan Essex was an undergraduate at Oriel College, Oxford, and graduated with a first class honours degree in Chemistry in 1989. He then studied for a D.Phil. in computational modelling under the supervision of Prof W.G. Richards at the same institution. During his postgraduate degree he was supported by a Glaxo Research Scholarship. Having obtained his D.Phil. in 1992, he took up an SERC/NATO Postdoctoral Fellowship in the group of Prof W.L. Jorgensen at Yale University. In 1994 he returned to the UK to the University of Southampton as a Royal Society University Research Fellow. He was appointed Lecturer in 1997, Senior Lecturer in 2001, Reader in 2005 and to a Personal Chair in 2007. Jon was awarded the 2002 Marlow Medal from the Royal Society of Chemistry for his work in the development of techniques and application of molecular simulations to the study of proteins and related systems of biological importance. He was awarded a Royal Society Wolfson Research Merit Award in 2013. He is an Editorial Board member of the Journal of Computer Aided Molecular Design and Chemistry Central. 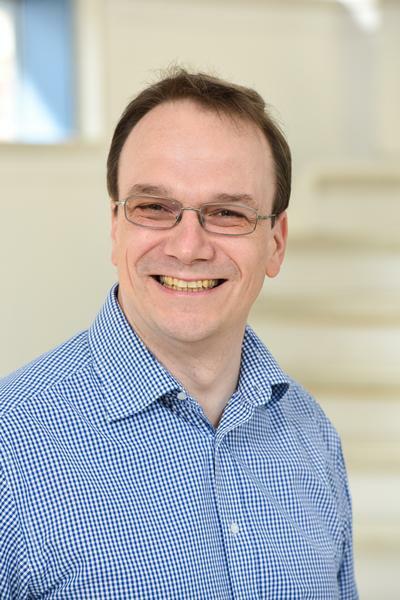 In addition, he serves on the Management Board of CCPBioSim, a collaborative chemistry project dedicated to biomolecular computer simulations, is a member of the EPSRC college, and has served on the Project Working Group for the procurement of HECToR, the UK’s next generation supercomputer. My research involves the application and development of computer simulation methodology to the study of organic and biological molecules, with particular emphasis on the examination of molecular association. Computer simulations are particularly important in the context of modern chemical research for a number of reasons. Their ultimate objective is clearly to make predictions, but performing a successful simulation that reproduces experimental observations also confirms and validates the underlying physical assumptions of the simulation model. Simulations also offer the ability to understand experimental observations with a resolution that, depending on the model, may be at the atomistic level. This in turn may then inspire further experiments. Computer modelling is widely used not only in the academic context, but also in industry. This is particularly the case for the pharmaceutical and agrochemical sectors, where modelling is used to assist in the discovery of new active chemical agents. My research is predominantly directed towards the development of new theoretical approaches to simulating biological systems. Methodology development is particularly challenging, time-consuming, and risky, but despite this, I have made a number of important contributions, particularly in the area of protein-ligand free energy calculations. My research programme covers a wide-range of applications. In practice, however, the areas are interrelated and mutually supporting. Michel, J., Taylor, R. D., Verdonk, M. L., & Essex, J. W. (2006). Calculating free energies with fast implicit solvent models. Abstracts of Papers of the American Chemical Society, 231. Dixon, M. J., Maurer, R. I., Biggi, C., Oyarzabal, J., Essex, J. W., & Bradley, M. (2005). Mechanism and structure-activity relationships of norspermidine-based peptidic inhibitors of trypanothione reductase. Bioorganic & Medicinal Chemistry, 13(14), 4513-4526. Essex, J. W., Woods, C. J., Willey, A. P., Fenu, L. A., Good, A. C., Leach, A. R., ... Frey, J. G. (2004). Application of distributed computing to computer simulations. Abstracts of Papers of the American Chemical Society, 227, p.U683. Essex, J. W., Tai, K., Murdock, S., Ng, M. H., Wu, B., Johnston, S., ... Sansom, M. (2004). BioSimGrid: a distributed database for biomolecular simulations. Abstracts of Papers of the American Chemical Society, 227, U682. Bemporad, D., Luttmann, C., & Essex, J. W. (2004). Computer simulation of small molecule permeation across a lipid bilayer: dependence on bilayer properties and solute volume, size, and cross-sectional area. Biophysical Journal, 87(1), 1-13. Essex, J. W., Woods, C. J., Foucher, S., & King, M. A. (2004). Replica-exchange-based free-energy methods. Abstracts of Papers of the American Chemical Society, 227, U1030-U1030. Essex, J. W., Phillips, S. C., Gledhill, R. J., & Edge, C. M. (2002). Digital signal processing methods to analyze and enhance conformational change. Abstracts of Papers of the American Chemical Society, 223, U467-U467. Frey, J. G., Bradley, M., Essex, J., Hursthouse, M. B., Lewis, S. M., Luck, M. M., ... Welsh, A. (2003). Combinatorial chemistry and the Grid. In F. Berman, A. J. G. Hey, & G. C. Fox (Eds. ), Grid computing: making the global infrastructure a reality (pp. 945-962). (Wiley Series in Communications Networking and Distributed Systems). Chichester, UK: John Wiley & Sons, Ltd..
Frey, J. G., Gledhill, R. J., Milsted, A., Kent, S., Essex, J. W., & Richards, G. W. (2006). A computer-aided drug discovery system for chemistry teaching. American Chemical Society 232 National Meeting, . Frey, J. G., Gledhill, R., Kent, S., Hudson, B., & Essex, J. (2006). Schools Malaria Project. In Proceedings of the UK e-Science All Hands Meeting 2005 (UK e-Science All Hands Meeting; No. 2005). UK: Engineering and Physical Science Research Council. Woods, C., Gledhill, R., Williams, S., & Essex, J. (2004). Distributed Computing. EPSRC eScience Pilot Project Meeting, . Robinson, J., Grove, D., Lewis, S., Manson, R., Frey, J., Essex, J., ... Parry, P. (2004). eTechniques for Teaching. EPSRC eScience Testbed projects meeting, . Welsh, A., Mansson, R., Danos, L., Frey, J., & Essex, J. (2004). Statistical Model Fitting. EPSRC eScience Pilot Project Meeting, . Woods, C. J., Frey, J. G., & Essex, J. W. (2004). The Application of Distributed Computing to the Investigation of Protein Conformational Change. In S. Cox (Ed. ), Proceedings of the UK e-Science All Hands Meeting, Sep 2003 (pp. (6pp)). Swindon, UK: EPSRC.